Using StumbleUpon to Get Organic Traffic Within 4 Minutes! There are many social bookmarking sites where you can bookmark, share and socialize your blog posts. Some social networking sites like Facebook, Twitter and Linked can really helps to drive traffic to your blog. Simple, Stumbleupon is the the similar site from where you can generate quick and instant organic traffic to your blog. Today, I'm sharing about Stumbleupon how you can drive visitors and instant traffic by investing few minutes on it. This is very important part while you use Stumbleupon. More you Stumble, more traffic you'll get! The page that you Stumbled can be viewed by other users who are the author of that site. Don't forget to click Thumbs up button, it makes more attraction to the users to view your blog! If you invite more friends, you'll get more attractive review of your blog. Encourage your all existing friends to join Stumbleupon and find your network. So that, you'll get new readers, visitors and subscribers as well. You know your friends closely but, they may be unknown of your blog. This helps to be more closer from your readers. No one can take interest if you are not active in these stuffs. 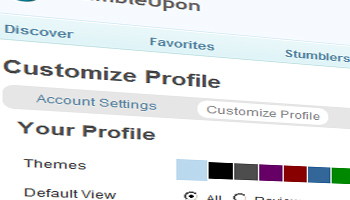 To make a look you are a active member, Upload avatar and fill your profile information clearly. So that, everyone can recognize you as a active member of StumbleUpon and they will try to be more closer with you and your blog! You should also keep interest to view other blog and keep reviewing their blogs and website. They'll also do same for you! 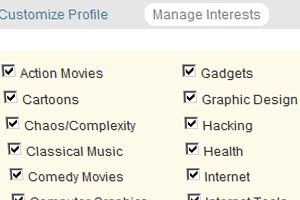 Make sure you have added the interests that matches to your blog niche. For example, If you blog is related to blogging niche then you much choose interest about Blogging. You will loose many people if you choose wrong interested. The Web Designer cannot show interest in Internet Marketing niche. So, you have to stumble about your niche and choose suitable interest. These are the simple but effective way that you can get free and instant traffic from StumbleUpon as I got quality traffic within 4 minutes. You'll also get chance to discover the web with new things that you haven't seen before. So, not only traffic, you can get new Readers, Traffic, Visitors, Subscribers, Blog Promotions, Review and Suggestion from many people! Share, what propose do you use to promote your blog via StumbleUpon? 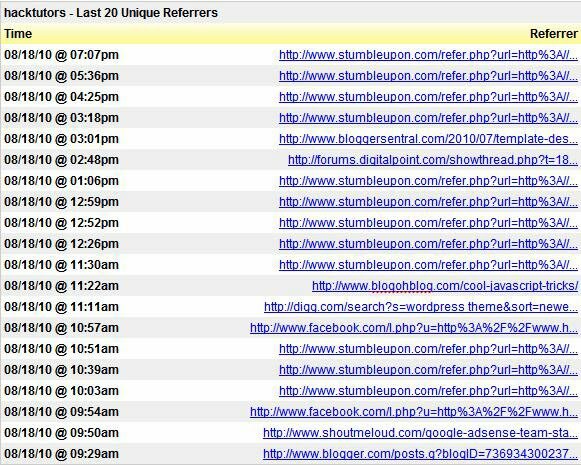 Hack Tutors — Blogger Tricks, Blogging and Social Media Tips: Using StumbleUpon to Get Organic Traffic Within 4 Minutes!